What’s the first thing that comes to your mind when you think about Africa? In my case, it was the savannah, together with everything that it represents: lions, cheetahs, leopards, and a whole variety of wildebeest that serves them as breakfast. 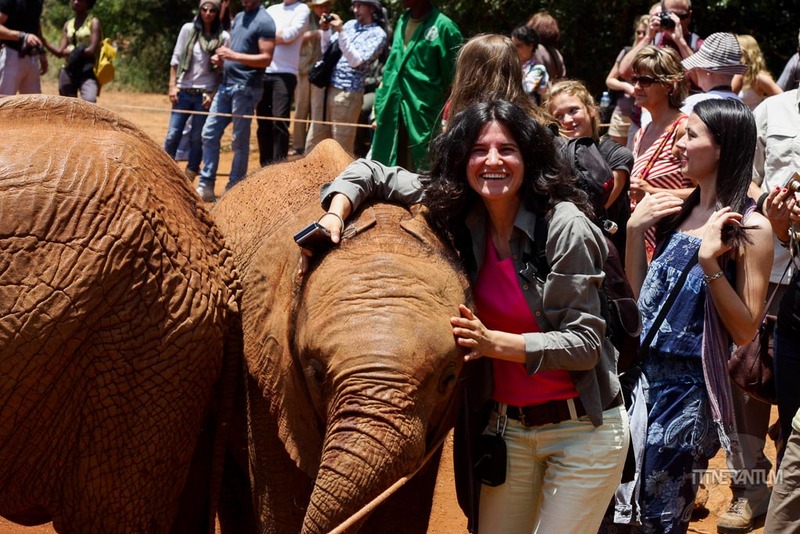 Having said that, we allowed ourselves one day to recover from the flight and visit Nairobi. The company that booked our safari also offered us the transfer from the airport. Given our early arrival and the notoriety of Nairobi, we were so glad we took it, even if 50$ was a little steep. The Carnivore restaurant – not exactly a classic attraction, but a must if you love meat. Read more about our experience at The Carnivore. 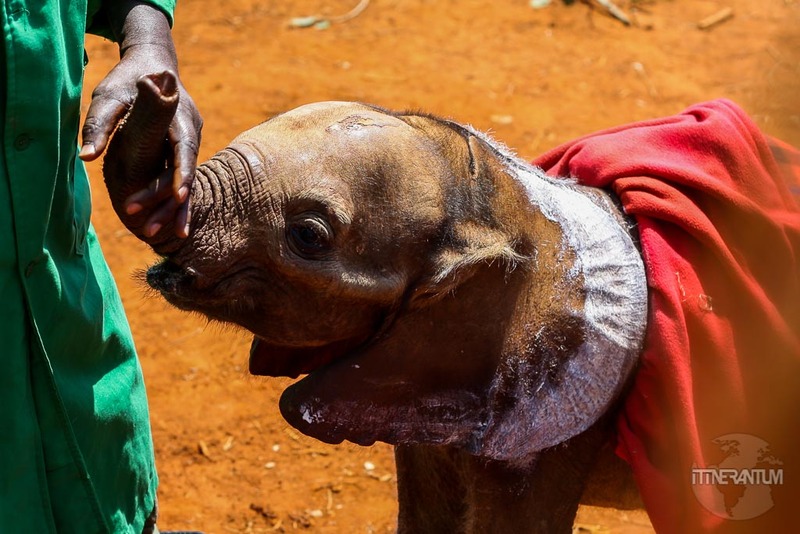 The David Sheldrick Wildlife Trust is a great cause. 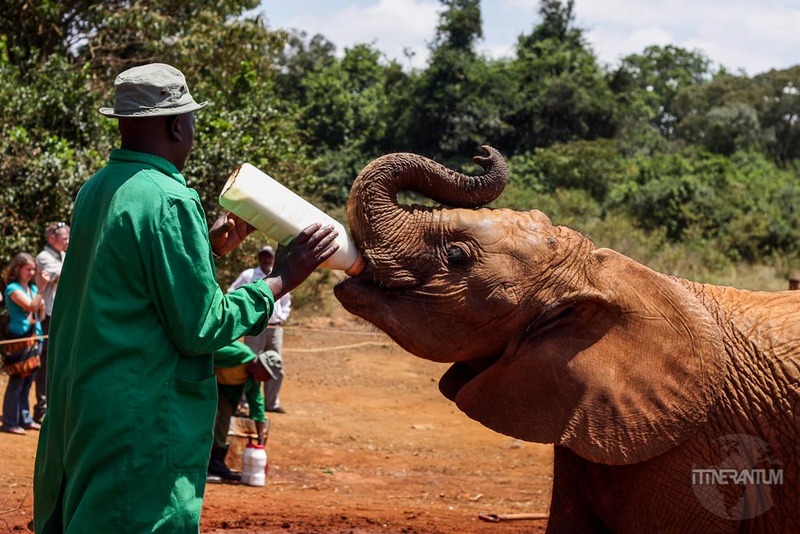 They are dedicated to provide the best care possible for the endangered species such as elephants and Black Rhinos. 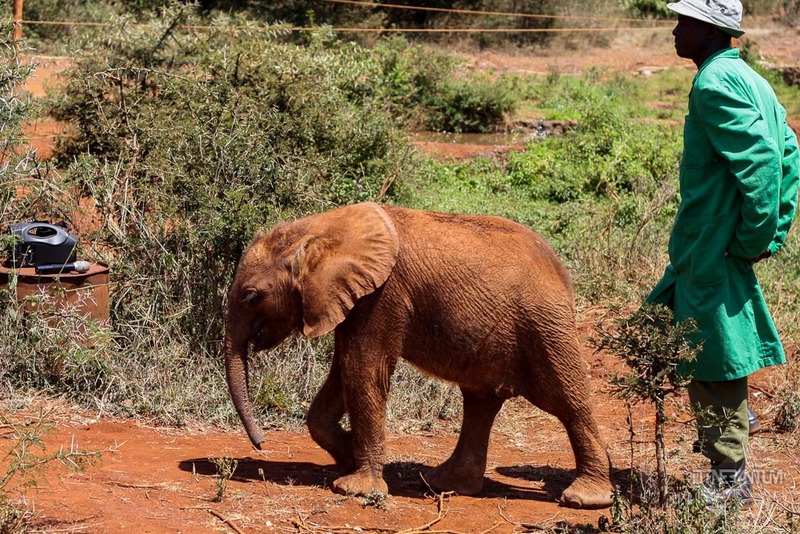 You get to see the elephants at different stages, from babies to those almost ready to be sent back out into the wild. The interesting part is that at the end, you get the chance to adopt an elephant for $50. You will then get monthly updates on how your elephant is progressing. Once you do that, you become a member and you can enjoy the elephant’s company in the evening, a special visit reserved for members only. It is also a great way to see your adopted orphan again. Otherwise, the sanctuary is only open for visits in the morning – 11am to 12pm, so try to be there a little earlier as it gets quite crowded. The Giraffe Centre – you can spend a few hours admiring these gentle and gracious giants, touching, feeding and even kissing them. 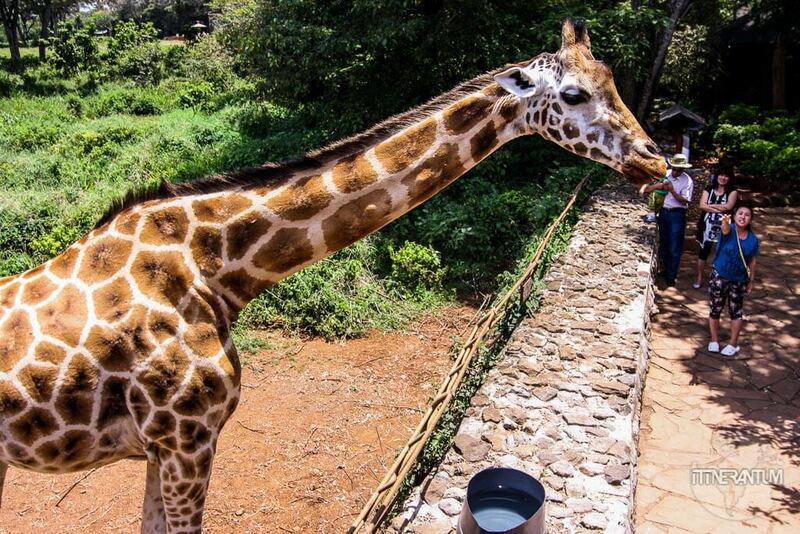 Get up close and personal with the giraffes getting on the high platform and armed with food pellets that you feed them with either from your hand or, if you’re brave enough, from your lips. 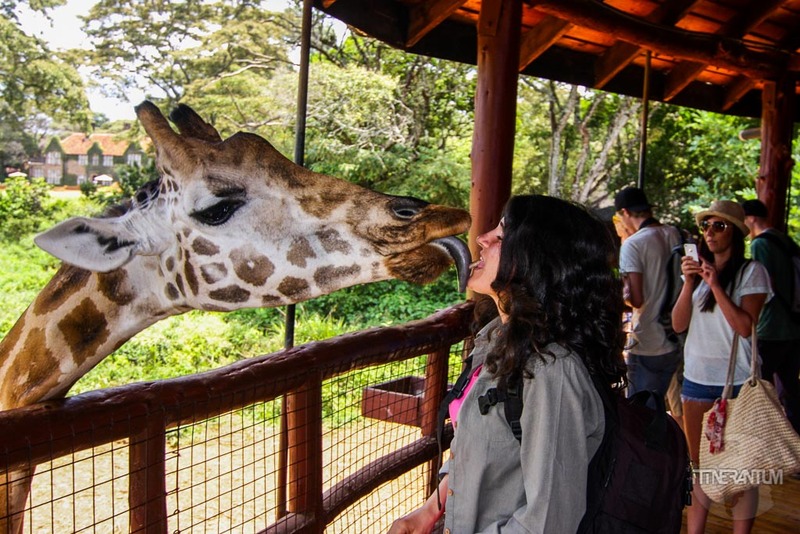 That’s a very rare chance to get kissed by a giraffe and have a photo to prove it. Of course if you don’t have the money for a real safari in a big National Park, you can probably see all the Big Five at the Nairobi National Park for only 50$ plus transport. It contains 113sq km of plains, forests and wild animals. Being the capital and the largest city in Kenya, Nairobi has a wide variety of accommodation options. 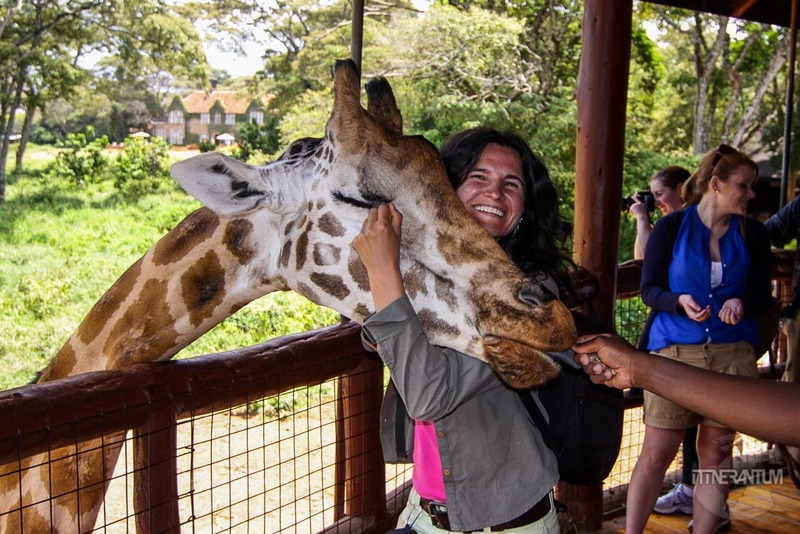 From five star lodges like one of Nairobi’s most iconic buildings, Giraffe Manor, where the rate per person is about 600$, to budget hostels. 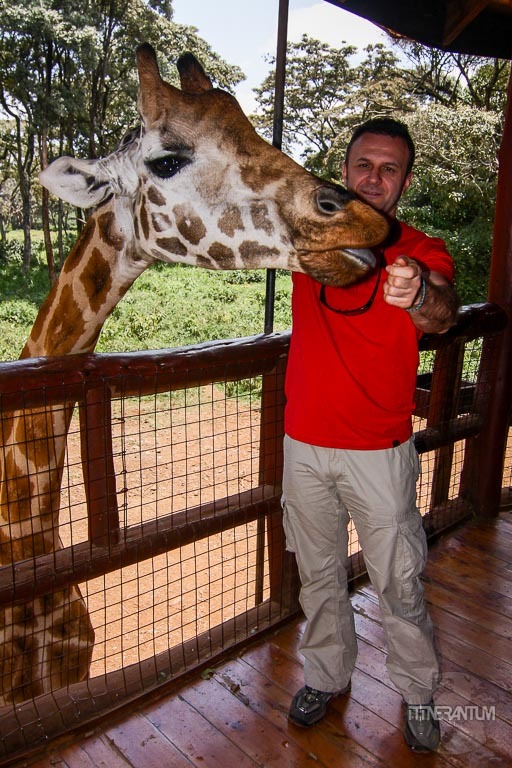 We stayed at Wildebeest Eco Camp, an oasis with beautiful tropical gardens in Nairobi, where you can book a safari tent or a cottage room for about 100$. You can even camp if you have your own tent for as little as 15$. We really enjoyed our stay at the Camp.